First BlackBerry Storm 2 pictures | BlackBerry Blast! 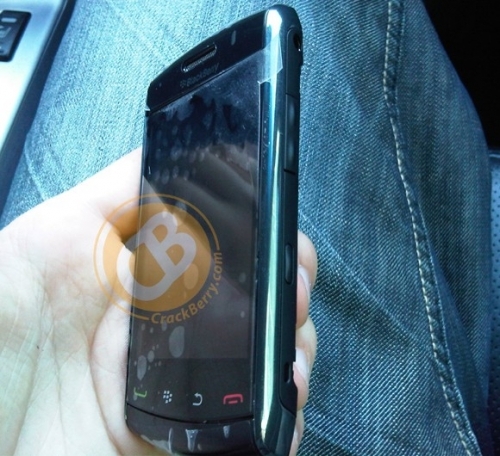 Until now the BlackBerry Storm 2 has been little more than a rumor. Various people have confirmed the device, but we have not seen it until now. CrackBerry got its hands on a pic and here it is. The BlackBerry Storm 2 looks like the original Storm, but thinner. You can also see that the buttons look like they're on the touch sensitive part of the screen. It doesn't look like a major departure from its predecessor, but a nice upgrade. Check the source link below for more pictures.